50 Best Fantasy Books of All Time: The Ultimate List (2019) | Nerd Much? Looking to discover new worlds and new characters to fall in love with? Check out our list of the best fantasy books of all-time below. Good fantasy books have been transporting people to other places and times for hundreds of years. There’s something about quest stories and magical powers that continues to captivate us. There’s also something about seeing your favorite ten-book series lined up on your bookshelf. Today, fantasy has truly broken into the mainstream with the success of A Game of Thrones and Harry Potter. True fantasy fans have known for decades that fantasy isn’t just for kids, even though most of the world is just realizing this—but true fantasy fans also know that some of the best fantasy writing is children’s literature. 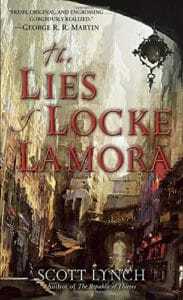 Set in the Venice-inspired city of Camorr, The Lies of Locke Lamora introduces the quick-tongued Locke and his band of thieves, con artists, and general tricksters. This is an action-filled heist story in a setting that feels earthly and otherworldly at the same time. 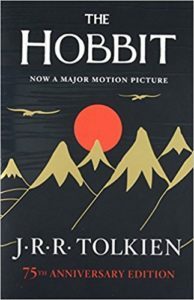 Though the second and third books have been received with mixed feelings from fans, the first book stands out as a favorite of many fantasy readers, and the series is planned to be seven books long. There is plenty more to explore in Lynch’s detailed and well-realized world. Set in a world filled with magical users and creatures of all sorts, The Dresden Files is told from the perspective of Harry Dresden, a wizard, and private investigator. This series draws on classic fantasy tropes in the best way, pitting Harry against ghosts and zombies, as well as some clever re-imaginings of traditional mythological creatures. These books imagine a world that is both incredibly magical and charmingly familiar. 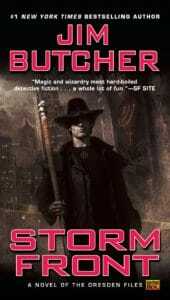 For light, humorous fantasy, The Dresden Files is a great choice. And if you enjoy the first book, there are fifteen in total, and more on the way. Now, in 2019, The Dresden Files now has its own graphic novels, roleplaying pen and paper game, tabletop game, and, most recently, Fox has optioned for a new Dresden Files TV show. So, it’s pretty much all over the place now, with plenty of mediums for you to consume. Kurtz’s Deryni books begin with Deryni Rising, which introduces a land where the magical Deryni people must keep the powers of their bloodline secret. In the first book, Prince Kelson is new to leadership and must master his Deryni powers in order to challenge a powerful foe. Written in the early 70s, Kurtz’s Deryni books managed to avoid an era of Tolkien imitators with an original (at the time) plot. There are fifteen Deryni books to dive into, separated into five distinct trilogies. In a reversal of the traditional “magic university” plot, The Black Magician is set in Kyralia, a world where magic is preserved for the elite. 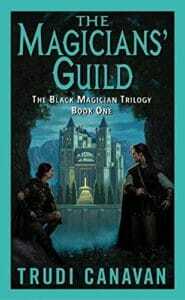 When a girl from the slums of Imardin named Sonea discovers powerful magic of her own, the Magicians’ Guild attempts to capture her for her own good and for the safety of the city. Sonea, naturally, has very different plans. If you enjoy the setting of Kyralia, Trudi Canavan’s Traitor Spy Trilogy is set after the events in the original trilogy. Canavan is an outstanding worldbuilder with many great series to explore. 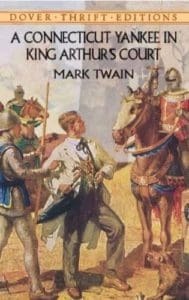 In one of the earliest examples of time travel fiction (which also makes this a sci-fi novel of sorts), Mark Twain explores the possible consequences of an educated 19th century man being transported to the time of King Arthur, where he is mistaken for a magician. Hank Morgan, the unwitting time-traveler, becomes the nemesis of Merlin, and ultimately gains influence in the land of Camelot. If reading the name “Mark Twain” incites queasy memories of high school English class, try to forget your initial impression of his writing. Twain’s humor resonates through time and likely always will. This is a great starting place if you’ve never read a book by the original celebrity author. 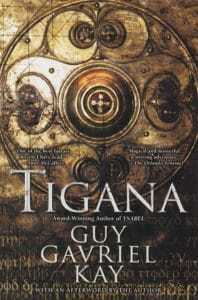 With his pseudo-historical and low-magic style, Guy Gavriel Kay creates a convincing world in Tigana. A tyrant has kept a people from their homeland—few can even remember it. But a brave collection of passionate characters stand up for their home and their culture. There aren’t enough standalones in fantasy, and this epic is neatly packaged in one volume. Kay is known for his low-conflict plots and well-written characters. If you need a break from the melee of popular fantasy, it’s hard to go wrong with Tigana or his The Lions of Al-Rassan. 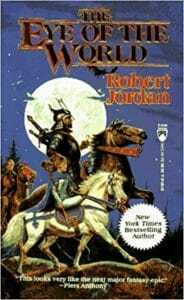 Another classic series out of the 80s, Lackey’s Valdemar books imagine a world of magic, mystical horses, and convoluted schemes. Talia is a charming protagonist who is easy to root for as she protects her queen and her land from enemies. 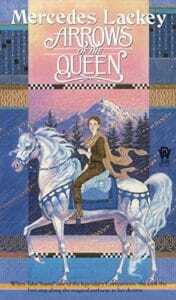 The first trilogy is a wonderful example of young adult fantasy, and Lackey has relentlessly explored the world of Valdemar since that first book in 1987. For something quick and heartfelt, The Heralds of Valdemar Trilogy is a great choice. The books that inspired the best selling video game franchise are just as beloved, particularly in Europe. The Witcher books (sometimes novels, sometimes short story collections), follow Geralt of Rivia as he seeks to rid the world of evil creatures. So far, eight books have been released in Sapkowski’s Witcher books. If your story in The Witcher 3: Wild Hunt didn’t go as planned, give the books a shot. 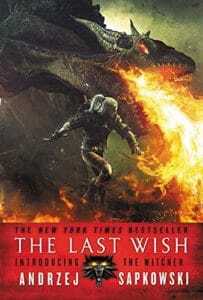 And if you think The Witcher 3 is one of the best fantasy games of all-time, the book series is one of the best fantasy books of all-time also — you’ve GOT to check it out! Of course, the Witcher series is everywhere, too, and there’s even a Netflix series in the works starring Henry Cavill as Geralt. 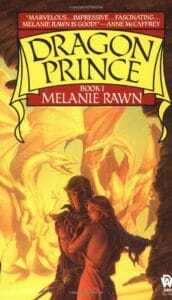 Rawn’s Dragon Prince series follows a young prince who comes into power suddenly and must navigate difficult political circumstances to keep peace among princedoms while protecting the endangered dragons. This trilogy was a first for many and is remembered fondly for its dragons, cunning villains, and memorable protagonists. A classic trilogy out of the 80s that may seem a bit cheesy today but is still a lot of fun. 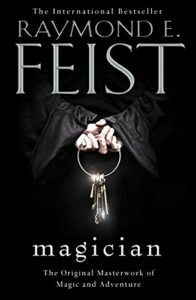 A young orphan finds himself in the center of a conflict between the powerful forces of Order and Chaos in Feist’s classic series, which begins with Magician. Feist has written quite a lot since Magician, making him one of fantasy’s most read voices, but this classic trilogy a great place to start. Inspired by tabletop RPGs, this series has a trope-y feel to it that is nostalgic and charming. If you’ve already read The Riftware Saga and love Feist’s style, we definitely urge you to check out his latest, King of Ashes , which is the first entry in the Fireman Saga series. A first fantasy series for many, Eddings’s The Belgariad books are far from original—the protagonist is a simple farm boy who is chosen by a prophecy—but they are fun, light reads that can be a great introduction to the genre. 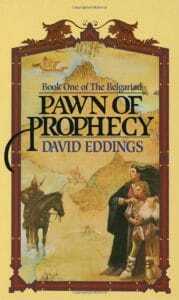 The Belgariad contains five books, and the late Eddings wrote dozens more during his long career. 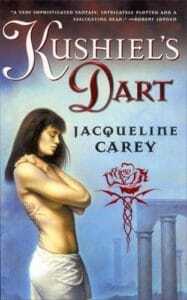 This cover gives you a fair idea of what lies ahead: Kushiel’s Dart introduces the beautiful land of Terre d’Ange and a young courtesan named Phèdre nó Delaunay. She is talented in the courtly arts, and also in the art of intrigue, making her a key player in a massive shift of power in Terre d’Ange. If you enjoy the first book, the rest of the Kushiel trilogy is brilliant, and Carey has written two follow-up trilogies set in the same world. Elliott’s Crown of Stars series is one of kingdoms, royalty, sorcerers, and wars—and it’s all founded on memorable characters in the middle of conflicts much bigger than themselves. This series is often overlooked, but Elliott’s writing and characters make it one of the better series to come out of the 90s. And at seven books, it’s a great length to plow through in a few months. 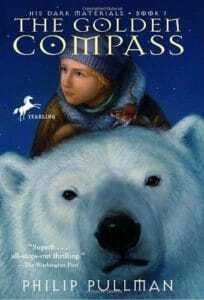 Seen by many as the counter to C. S. Lewis’s The Chronicles of Narnia, Philip Pullman’s trilogy begins with The Golden Compass and tells the story of the bold Lyra and her journeys between worlds. One thing these books do well is focus on both small- and large-scope issues, connecting us with the characters who inhabit dangerous and complex worlds. This classic young adult series deals with dark and difficult problems and should be required reading—rather than being banned. With Pullman working on finishing a new follow-up trilogy, this is a great time to dive into His Dark Materials. If you’re looking for something quick, adventurous, and memorable, Riyria Revelations is a great six-book series in a charmingly traditional fantasy setting. 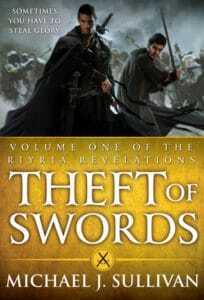 Riyria is the story of two thieves and their heists, quests, and plots. Though they often try to stay out of worldly conflicts, both characters are guided by complex morals and must sometimes step in, even if a paycheck isn’t involved. Each adventure feels distinct, and the books are short enough that you’ll want to read them back-to-back. Stephen King’s genre-blending eight-book series is one that stretches across his prolific writing career. Not only can you see his writing grow and develop with each book, but you can also find connections with other novels in King’s multiverse. 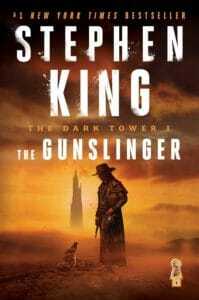 The Dark Tower has its highs and lows, but overall it’s an impressive achievement. 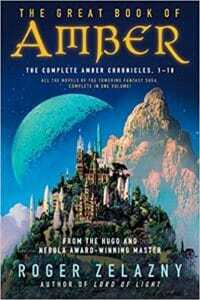 One of fantasy’s most divisive series is also one of the bestsellers, with over 20 million copies sold. 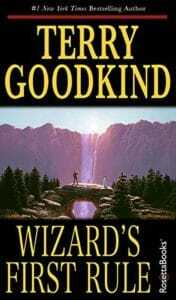 Terry Goodkind’s epic fantasy series begins with Wizard’s First Rule and follows the Seeker of the Truth, Richard Cypher, in his adventures against the dark powers of the world. Though the series isn’t the most original, it does draw on a bit of everything, making it packed with varieties of magic and mythical creatures. Goodkind may be preachy, but there’s a lot of fun and adventure to be had with these dark, brutal books. Clarke’s tale of 19th-century magicians is unusual in its density and realism, creating an image of historic England that’s so detailed it feels like an account of true events. But in the middle of this realism is magic—powerful, logical, dangerous magic. If you prefer your fantasy on the denser, more detailed side, you’ll appreciate Susanna Clarke’s thoughtful writing and dialogue. 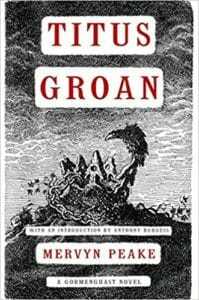 If you’ve read a good deal of modern fantasy, there’s a good chance you’ll appreciate Grossman’s satirical, knowingly derivative Magicians trilogy, whose inspiration is a mix of Harry Potter and Narnia. The first book, covers a span of several years, and its sequel, The Magician King, is a strong follow-up that sets itself apart from the first in its thriller-like plot. The characters are hard to like at times, but they’re fun to read about—and Grossman’s clever, tongue-in-cheek style is endlessly fun. 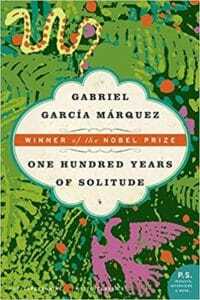 Despite its magic, otherworldly qualities, fictitious setting, and general elements of the bizarre, One Hundred Years of Solitude is not considered fantasy by some but instead magical realism. The fantasy of Márquez’s most famous work shows throughout the story, in the family whose members live to impossible ages, and in the plague of insomnia that consumes Macondo. It’s a dense read without a doubt, and you’ll easily become lost in the complicated family tree, but beneath its tough exterior is a truly wonderful story. It’s one of fantasy’s greatest works, and though it may be magical realism by technicality, all magical realism is fantasy. 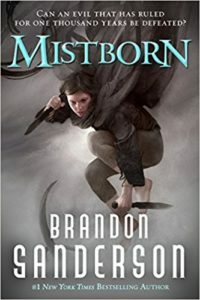 As far as intricate, mathematical magic systems go, it doesn’t get much better than the original Mistborn trilogy. Each book in the series builds on the last and has its own feel, and the world Sanderson has created has a fascinating history that is explored thoroughly. Sanderson has four planned “eras” set in the same world, each one several generations apart from the last, exploring an evolving world. Some readers fault the series for its video-game-style action, but that’s all a part of the fun. Check out everything you need to know about Brandon Sanderson’s Cosmere universe here. One of the most iconic monsters of all time has his origin in Mary Shelley’s Frankenstein, one of the few fantasy books to make its way onto required reading lists in American schools. 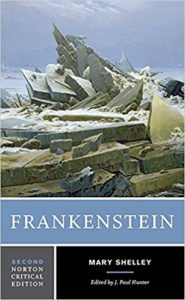 Those whose only exposure to Frankenstein’s monster has been movies and TV may be surprised by the novel’s philosophical style and dark themes. 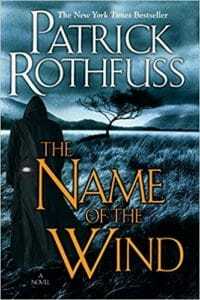 Rothfuss’s prose and poetry evoke cozy taverns and evenings around a campfire in his bestselling fantasy trilogy, which began with The Name of the Wind in 2007. 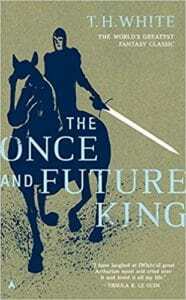 The books follow the legendary Kvothe as he retells his youthful adventures to a historian. The frame story is a lot of fun, and Kvothe’s tales of university days make this series a sort of fantasy “slice of life.” Though we’re all still waiting on the final installment, the first two books stand well on their own. In fact, the first two novels are enough to get fans thinking about many different Kingkiller Chronicle theories for the upcoming third book. I’d recommend checking this one out soon as well, as there’s now a Kingkiller Chronicles TV show in the works. 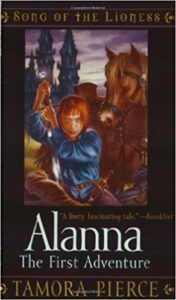 Pierce’s first novel in her wonderful Tortall universe is Alanna: The First Adventure. The book introduces Alanna of Trebond, who wants nothing more than to train to be a knight. After trading places with her brother, Alanna embarks on the adventures that will solidify her as a legend of Tortall. Pierce has written several series and novels in the world of Tortall and likely will for many years. Unlike some childhood fantasy stories, this is one that still holds up decades later. 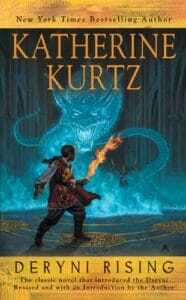 Janny Wurts’s intricate, well-researched epic fantasy series tells the story of the half-brothers Arithon, Master of Shadow; and Lysaer, Lord of Light. 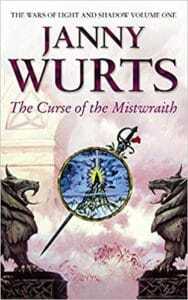 Wurts has always sought to create gritty, realistic fantasy in a world with many cultures and moving parts. Her unique world is the result of many years of worldbuilding and illustration. Wurts illustrates all of her own covers. Her prose is dense, and ten books (with one more shortly on the way) is a lot, but Wurts’s books are impressive works of high fantasy that have aged well. Though we now have a faithful and well-received TV adaptation, Neil Gaiman’s American Gods is an ambitious and powerful fantasy novel that will likely be talked about for decades. It features a cast of gods who are a bit washed up, their power having waned in the modern age. But a war is brewing with new, modern gods, a war that ex-con Shadow Moon has somehow found his way into. 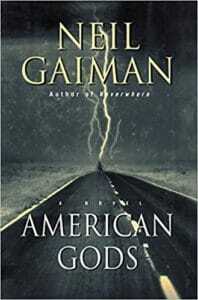 American Gods is an excellent standalone fantasy, though Gaiman has hinted at the possibility of a direct sequel. 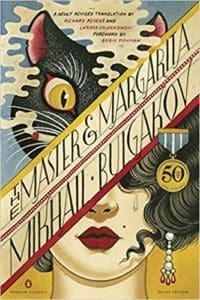 Written during Stalin’s regime, The Master and Margarita envisions Satan creating chaos among the literati of Soviet Russia. Parallel to this story is the tale of Pontius Pilate and the execution of Yeshua in ancient Jerusalem. This is the sort of novel that may make you feel as if you’re losing your mind alongside Satan’s many victims. Bulgakov’s writing can be difficult to follow (and this will depend on which translation you read), but the confusion can be deliberate. Getting lost in the terrors of this novel is a part of the ride. 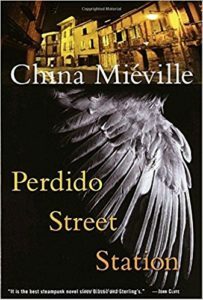 China Miéville is one of fantasy’s modern pioneers, and Perdido Street Station is an excellent place to start. The book introduces the strange city of New Crobuzon, which is dark, filthy, and populated with non-traditional fantasy races. For something entirely unlike anything else you’ve read, China Miéville has you covered. For years, Miéville has confidently written fantasy that fits no mold while crafting stories that are essentially human, despite their many unusual creatures. Brandon Sanderson is a student of the masters, and The Stormlight Archive is his magnum opus and tribute to the fantasy genre. In addition to being 1,200 pages long, the books are also filled with detailed illustrations from a handful of artists. Though only three books of a planned ten have been released so far, this series has a lot of momentum and an ever-growing fanbase. If George R. R. Martin and Patrick Rothfuss continue their dry spells, Sanderson will probably take over as the most popular fantasy author of today. You can read more about why you should read The Stormlight Archive here. Adam’s masterpiece follows a community of (talking and thinking) rabbits as they are displaced from their home and must find somewhere new to live. 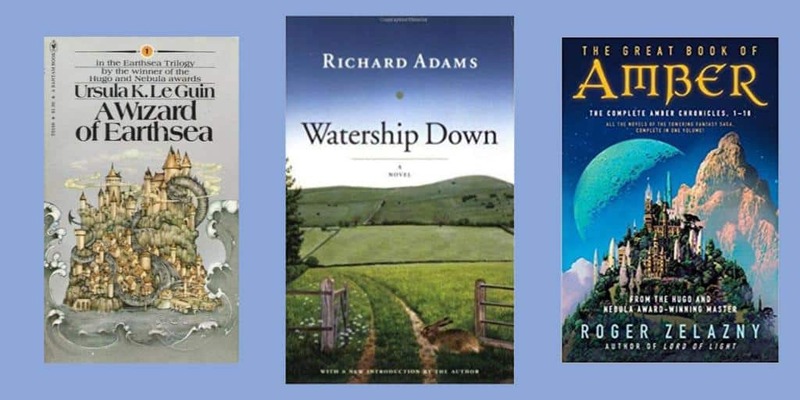 Though the story is set in England (and is about rabbits) it has distinct elements that set it firmly in the fantasy genre—and as one of the genre’s best works. 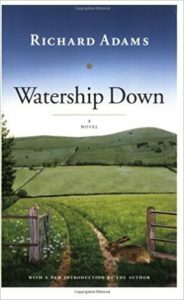 Don’t be deceived by the furry protagonists—Watership Down is by no means light and fluffy in its themes or story. Gemmell’s Drenai books chronicle the feats of Druss the Legend and other heroes of the Drenai people. His stories use archetypal characters in the best way, often pushing them to their limits through their conflicting goals and perspectives. Each book in the series is unique in its plot or structure, making this a great series to read straight through. 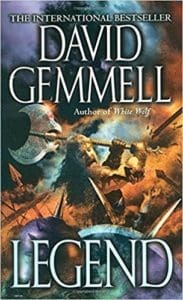 And, unlike most epic fantasy, Gemmell’s books are often short and digestible, with writing that is boiled down to the essentials of story and character. Tad Williams’ Memory, Sorrow, and Thorn trilogy solidified his legacy as one of fantasy’s greats. 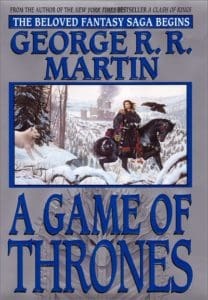 Though the series may not seem original today, that’s only because its influence has been far-reaching—George R. R. Martin has attributed the inspiration for A Song of Ice and Fire to Williams’s phenomenal trilogy. Beginning with The Dragonbone Chair, the trilogy introduces Williams’s dark and magical world of Osten Ard. 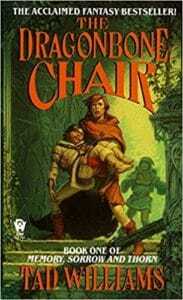 With Williams returning to this classic fantasy world in his new The Last King of Osten Ard cycle, it’s time to read (or revisit) his classic, The Dragonbone Chair. 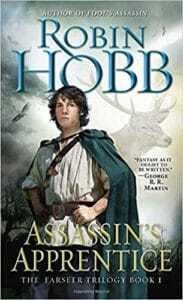 Robin Hobb’s The Realm of the Elderlings books, which began in 1995 with Assassin’s Apprentice, take place in a world with a fascinating magic system and compelling (and often very flawed) characters. Hobb’s prose is the real force behind the series, though her worldbuilding and characters alone make these books worth reading. Hobb has written five series set in the Realm of the Elderlings, many of which are self-contained. It’s unclear whether she will return to this world, but we can hope—each series has been well received, particularly her more recent entries. What happens when an anthropologist writes a book series based on a long-running RPG campaign? You get a sprawling, thoroughly researched fantasy world filled with unusual cultures and varied characters. Often seen as a sort of Dark Souls of fantasy literature, these books are great for longtime fantasy fans but may be intimidating to new comers to the genre. Take notes, find a reading guide, and maybe convince a friend to read the series with you. Malazan is a beast to read, but it’s well worth the struggle. If you’re a fan of the show but haven’t read the books yet, dig into the source material that has defined three decades of fantasy while you wait for the final season. Or, if you don’t have HBO, skip the show and read the books! 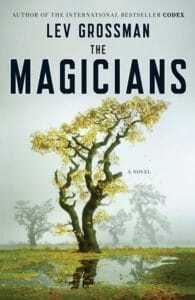 If morally gray characters and dramatic plot twists are your thing, this series cannot be overlooked. There’s no doubt that this has been recommended to you many times, so here’s one more. Martin has created one of fantasy’s greatest sagas. Hopefully, the final two novels will give the series the ending it deserves. 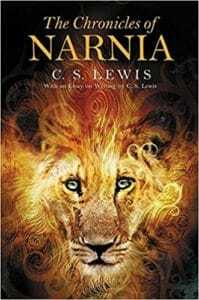 C. S. Lewis’s classic children’s fantasy is another great example of portal fantasy done well, and each of its works feels complete on their own and provide different perspectives of the world of Narnia. If you’ve never read beyond The Lion, The Witch, and the Wardrobe, you’re missing out. Prince Caspian in stands out as an excellent adventure story. Reading Narnia today will illuminate references throughout the rest of modern fantasy. There are many re-tellings of the legend of King Arthur, but this is one that can’t be overlooked. This is the same book that inspired Disney’s The Sword in the Stone. Divided into four parts (originally published as novels), the book is a great introduction to Arthurian fantasy. If you enjoy reading about valiant knights, wizards, and quests, add this 1958 classic to your TBR. It’s quite a lot more fun to read than the original Le Morte D’Arthur. Zelazny’s classic, ten-book series is portal fantasy at its best. Between the true world of Amber and Chaos are several shadow worlds, like Earth. The books follow the struggles of the royal family of Amber and the conflicts between worlds. Zelazny has been the inspiration of many of today’s prominent fantasy authors, and though the series is forty years old, it’s a classic that holds up well. Each novel is short, and the series is divided into two five-book arcs, making it easy to binge-read. Though these sit somewhere between sci-fi and fantasy, they’re still essential fantasy reading. 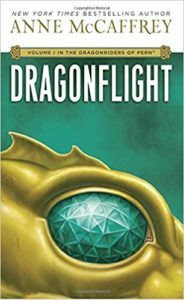 McCaffrey’s Pern books feature dragons who form telepathic connections with their chosen riders. There are over 20 published books in the series, and many different suggested reading orders (which is up for debate, as with most long series). Though the books can be problematic, their influence on both sci-fi and fantasy is undeniable. If you like your reading with a healthy dose of dragons, this series is a must-read. 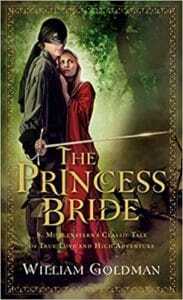 Though the book will never rival the renown of the movie adaptation, Goldman’s The Princess Bride is everything you’d expect and then some. Goldman frames the story as a fictional abridged edition of “S. 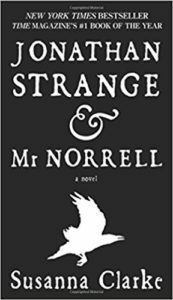 Morgenstern’s classic tale,” which adds to the story’s charm and satirical style. It may be campy at times, but that’s the point. Goldman’s clever writing and humor make this a classic work of fantasy. 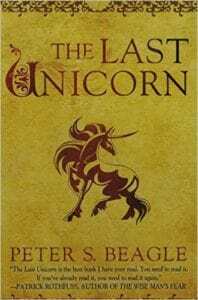 Don’t be deterred by the title of the idea of a unicorn as a protagonist—Beagle’s The Last Unicorn is still an iconic work of fantasy that is filled with wonder and hope that can offer a pleasant contrast to today’s grimdark fantasy. This 1968 classic is a joy to read and may surprise you with its depth—it becomes philosophical at times while remaining a beautiful and compassionate story at its core. And, of course, the 1982 animated movie is worth watching as well. This book is so wonderful that it landed on both our best fantasy and best sci-fi books lists. A Wrinkle in Time is the perfect example of how children’s literature can be more than introductory reading—it can be transcendent. 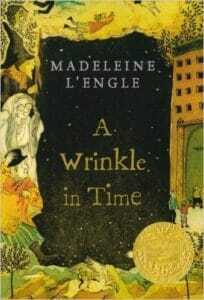 L’Engle’s storytelling and endless imagination make this book a must-read, even 50 years later. L’Engle went on to write five books following her beloved characters, each one building on the ideas and worlds of the last. Skip the movie with Oprah in it – awful! 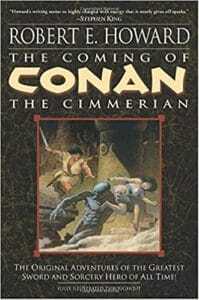 One of the first works of swords and sorcery, Robert E. Howard’s Conan books have left their mark on the fantasy genre and been adapted as films and video games. Howard’s stories of Conan are filled with peril, adventure, and cunning—they’re just fun, and their long-held place as one of fantasy’s defining works is well-deserved. If you’ve never read these classic stories, you’ll quickly discover why Howard’s classic barbarian character has remained a fixture for nearly a century. The only epic fantasy series that was anywhere close to the popularity of The Lord of the Rings in the 1960s was Mervyn Peake’s Gormenghast. 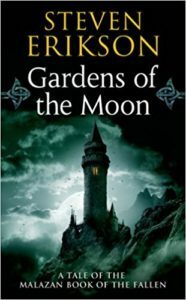 The five books follow the royal family of Gormenghast, an enormous castle in a grim world. Often considered to be a superior work to The Lord of the Rings by literary critics, Gormenghast is a gothic masterpiece that often falls in the shadow of Middle Earth. 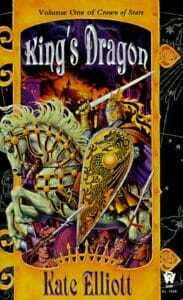 With Amazon’s planned adaptation of Robert Jordan’s epic 14-book series in development, this is a great time to read the series that defined 90s fantasy. 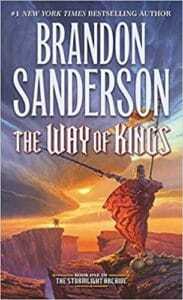 Jordan’s epic series (which was completed by Brandon Sanderson after Jordan’s passing) explores a magic-filled world with 2,700 named characters. The series stands out for its magic systems and a great cast of female point-of-view protagonists, particularly later in the series. It’s long and sometimes slow, but there’s no journey quite like The Wheel of Time. You might want to read this one sooner rather than later, though, as there’s a Wheel of Time TV show in the works, too! Sir Terry Pratchett’s unique satire and worldbuilding will no doubt preserve Discworld among fantasy’s most beloved series—and that isn’t just because there are 47 published works in the series. Discworld is a colorful, slightly demented world that rests on the back of a cosmic turtle named the Great A’Tuin. 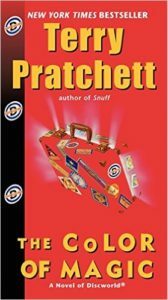 Pratchett pulls apart all sorts of fantasy tropes, all held together with his unique voice and humor. Discworld is required reading for the fantasy genre. We also love that Pratchett knows how to write strong female fantasy characters, as we mentioned on our list of the best. 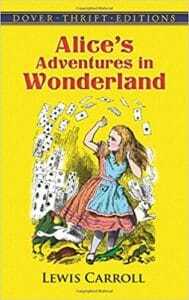 One of the first stories to imagine a place other than Earth, Alice’s Adventures in Wonderland is still relevant and very much worth reading. Don’t let the label of “children’s literature” keep you away. Lewis Carroll’s prose is fascinating and often complex, and the characters of Wonderland will stay with you after you’re finished reading. When the late Ursula K. Le Guin wrote A Wizard of Earthsea, she did so to invert common fantasy tropes with her dark-skinned protagonist and examination of what a wise wizard looks like when they’re young and reckless. 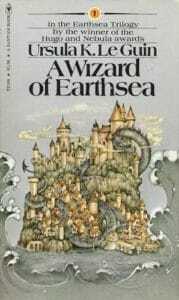 That was in 1968, and today, her Earthsea books continue to invert today’s tropes—because authors are still writing plenty of quest stories and high fantasy. This fifty-year-old series was ahead of its time, and it’s a sign that the genre of fantasy literature still has plenty to explore. Without Harry Potter on your shelf, you will be missing references for decades—this is the series that multiple generations grew up with, and it will permeate fantasy culture and beyond for a long time. 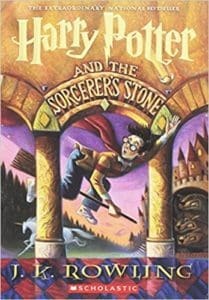 So if you love good fantasy books about magic and wizardry, the Harry Potter series is one of the best fantasy series of all-time. Did you get to the end of this list only to be told to read the most influential modern fantasy series? Yes, yes you did. Without the world of Middle Earth, there might not be Dungeons & Dragons as we know it. So many of today’s archetypal quests are based on the moment when Bilbo Baggins and company encounter three trolls—this scene is the blueprint for “encounters”, whether they’re in tabletop RPGs, video games, movies, or books. Today, we’ve seen series like Harry Potter and A Song of Ice and Fire reach incredible levels of popularity around the world, but will either of these stand out in sixty years? The best they can hope for is being mentioned in the same breath as Tolkien’s masterpieces. Of course, with its popularity, it should be no surprise that there’s a Lord of the Rings show in the works at Amazon.